“2018 will be another record breaking year for Invergordon. Passenger figures will rise to 171,000 and we will receive even bigger cruise ships,” said Allison McGuire, cruise manager for the Port of Cromarty Firth (Invergordon). Passenger numbers are up 14 percent on 2017 with 93 ships expected. 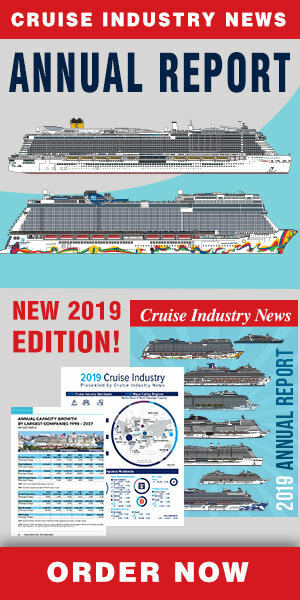 As more growth is expected next year, port officials will be busy before that welcoming a host of maiden calls – 12 in all – including two on the same day when the Star Breeze and Viking Sky visit on August 15. The biggest ship to call on the port this year, and to date, was the MSC Meraviglia, which docked on May 1. Having welcomed cruise guests for four decades, McGuire pointed to a strong and developed shore excursion program and “good quality” passenger experiences. Expansion is in the cards, as the port has submitted a request to develop a new $30 million berth that will add 215 meters in pier space to the existing Berth 5, extending the pier to 369 meters to accommodate any cruise ship. “With planning and investment we should be able to accommodate the largest of ships currently being built and continue to increase our passenger capacity,” McGuire added.